There is no better way to experience the breathtaking beauty of British Columbia than from the air. Tofino Air operates a wide range of flightseeing tours departing from Tofino. We offer an array of tours and prices that will suit any schedule and budget. If you see a tour that doesn’t fit your timeline please contact our base and we will do our best to accommodate. PLEASE NOTE: A child at the age of 2 are legally required to have their own seat. Scenic flight cancellation Policy: Fully refundable up to 24 hours prior; within 24 hours no refund. Credit Card will be required at time of booking to reserve the aircraft. Please check out our Passenger Information prior to booking. We invite you to experience this unique west coast hot springs. Hot Springs Cove is a 20 minute flight from Tofino harbour, these soothing hot springs are the perfect place to relax in true coastal fashion. After we touch down a 30 minute boardwalk trail through lush old growth forests will deliver you to a series of hot pools. Soak in the warm water, while the waves of the Pacific Ocean surge around you. please note we cannot guarantee availability of the springs for dipping, this is a first come first serve area. Don't see a date or time that works for you? Please send us an email or give us a call! Tofino offers some of the most spectacular scenery found anywhere in the world. 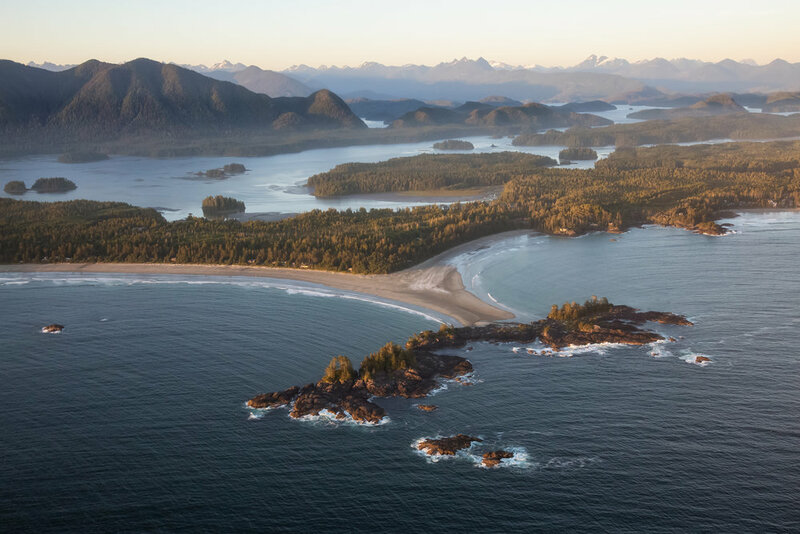 No visit is complete without experiencing the breathtaking view of Clayoquot Sound from the air. 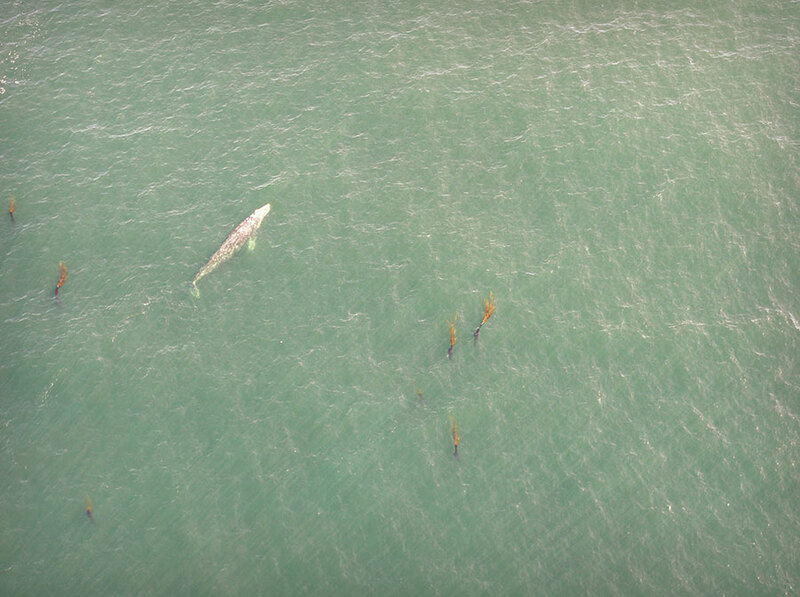 Keep your eyes open for wildlife and marine life including orcas, grey whales, sea lions, black bears and bald eagles. It is easy to forget that there is more to Tofino than the rugged west coast and beautiful sand beaches. Let us take you on a tour of the amazing glaciers hidden in Strathcona Park, a side of the west coast only seen from above. From Tofino you will fly to Mount Mariner glacier and follow the melting snow down through the pristine coastal valleys to Herbet Inlet. Your tour will finish with a low level flight along the coast back to the picturesque village of Tofino. Enjoy a 50 minute scenic tour to see beautiful Paradise Lake from the sky. Your scenic tour offers views of rugged coastline and amazing glaciers. Nestled among the glaciers in Strathcona Park, Paradise Lake is the ultimate stop to enjoy lunch and relax in the beauty that surrounds you. Only accessible by floatplane, this “secret” getaway will tantalize all of your senses. A quick hike or swim may also be on your menu. HAVE QUESTIONS ABOUT OUR TOURS? *All Prices listed include Taxes, Fees and Charges.